Short sleeve V-neck striped tunic blouse. Sleeveless neck tie ruffled striped tunic top. Sleeveless V-neck paisley floral tunic top. Sleeveless square neckline striped crochet trim top. Short sleeve off the shoulder ruffled blouse. Sleeveless round neckline striped ruffled blouse. Sleeveless V-neck ruffled button detail top. Sleeveless scoop neck crochet detail tunic top. Sleeveless high neck crochet detail blouse. Short sleeve off the shoulder ruffled all over lace top. Short sleeve V-neck striped tie waist top. Long sleeve high neck striped ruffled top. 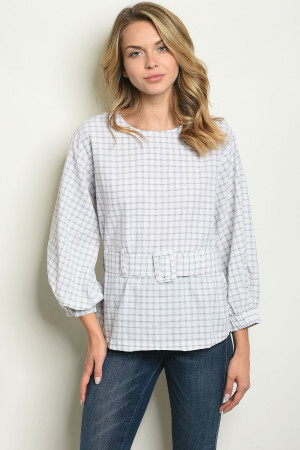 3/4 puff sleeve V-neck button detail linen blend top. Long sleeve V-neck tunic top. 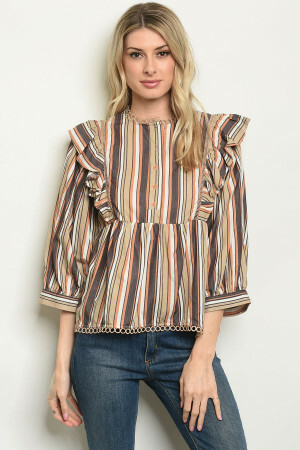 Long sleeve off the shoulder smocked blouse. 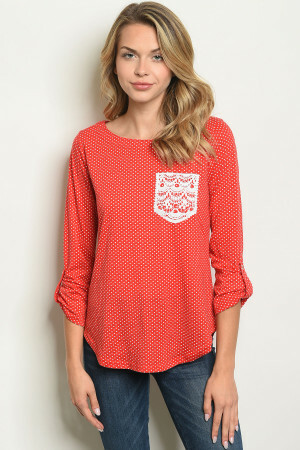 Long sleeve scoop neck crochet pocket top. 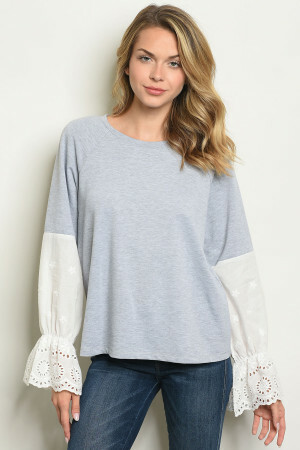 Long eyelet bell sleeve pull over sweat shirt. 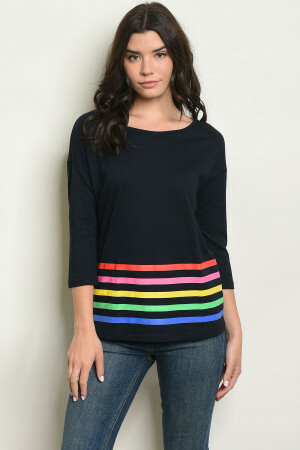 3/4 sleeve scoop neck rainbow striped tunic top. 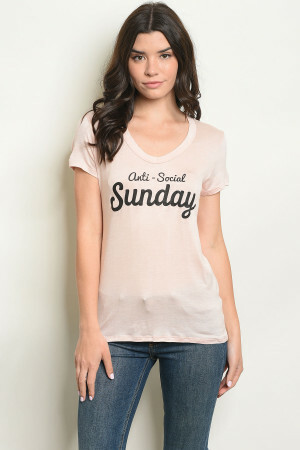 Short sleeve V-neck graphic tee.